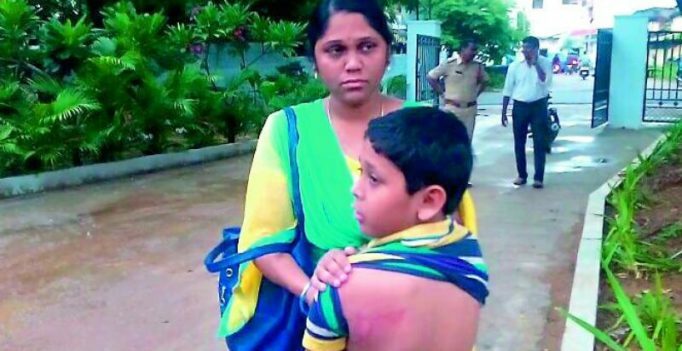 Hyderabad: A Class III student was allegedly beaten up by his English teacher Shiju Abraham after he failed to complete homework at Bhashyam School, Alwal. Bhavish, 9, resides with his grandparents. Bhavish went home as usual after school and complained to his grandmother about pain. When she checked, she found the injured area swollen and red. She informed his grandfather Dr G Shankar and they rushed him to a hospital and lodged a complaint with the Alwal police. Based on the complaint, police registered a case under 324 IPC (voluntarily causing hurt by dangerous weapons or means) and under the Juvenile Justice Act. “We are investigating. 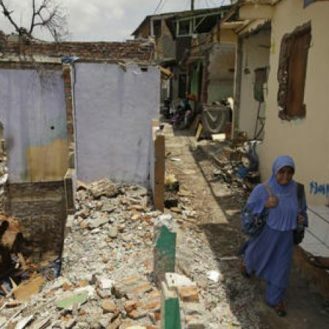 We will talk to the school and the teacher and based on the evidence we will proceed,” Alwal inspector, T Anand Reddy said. The Balala Hakkula Sangham condemned the brutal act of the teacher and demanded strict action against him and justice for the student. The school management was unavailable for comment on the incident.